Korean pronunciation is vastly different from English, and it takes a lot of practice to be able to pronounce words correctly. The biggest mistake you can make is to assume that the pronunciation of a Korean letter is identical to the pronunciation of that letter’s Romanization in English. This is simply not the case and is a mistake that virtually all new learners of Korean make. In addition to the syllables above, continue listening to the audio files in Lesson 1 and Lesson 2 (Unit 0) in the tables presented in those lessons. Korean pronunciation is entirely different in structure compared to English pronunciation. You may have noticed this from listening to the recording files above. In English, whenever a word ends in a consonant, we always make a little sound after saying that last letter. It is very faint and difficult to hear for a person with a ‘non-Korean ear’ to hear. But try to hear the difference. In English, if I were to say “ship”, there is a tiny sound of breath following the ‘p’ when our lips open. In English, if I were to say “dock”, there is a tiny sound of breath following the ‘ck’ when your throat opens. In English, if I were to say “cod”, (or kod) there is a tiny sound of breath following the ‘d’ when your tongue is removed from the roof of your mouth. Note that it is not actually written like this, but only sounds like this. Also note that if these two syllables were pronounced separately (먹 and 어), this phenomenon would not happen. The most confusing of this rule is when ㅅ or ㅆ are the last letters in a syllable. When either of these is the final letter of a syllable, they are NOT pronounced as ‘S.’ Instead, they are pronounced similar to a ‘D’ sound. The reason for this is the same as I described earlier, that is, Korean people don’t allow that ‘breath’ of air out of their mouth on a final consonant. As soon as one’s tongue touches their teeth when making the “S” sound, the sound stops and no breath is made after it. But, just like 먹 and 어, if syllables ending in ㅅ or ㅆ connect to another syllable where the first sound is a vowel, that ㅅ or ㅆ is pronounced as S combined with the following vowel (I know, it is very confusing). Explaining why different endings would come after a word (for example, 먹다 vs. 먹어 and 했다 vs. 했어) is something you will understand as you learn about Korean grammar. In Lesson 5 and Lesson 6 of Unit 1, you will be introduced to conjugation and when you would have to use these different pronunciation rules. For now, it is good enough to simply understand that this phenomenon occurs. In the previous section of this lesson, it was explained that the final letter in a Korean syllable is not aspirated. You saw how this causes the pronunciation of syllables to differ if the next syllable in a word begins with a consonant (먹다) or a vowel (먹어). Try pronouncing the word “먹다” again. Try it again. As you pronounce it, think about the movement of your tongue from the ㄱ sound in “먹” to the ㄷ sound in “다.” There isn’t anything hindering or stopping this movement. Notice that the ㄹ sound isn’t distinct. It sounds more like an ㄴ sound. Let’s discuss why this phenomenon occurs. As mentioned earlier in this lesson, the ㄱ sound is not aspirated. Therefore, immediately after the unaspirated ㄱ sound, one must pronounce the ㄹ sound. Without an aspiration (i.e. without a breath), there is no time for one’s tongue to move to correctly pronounce the ㄹ sound. There are many words that are like this. There is no use in listing all of them, because that would over-stress you into thinking that memorizing all of this is important. The ideas that I am presenting in this section (and in this lesson in general) are things that you should keep in mind, but don’t need to specifically memorize yet. Your pronunciation of Korean words as a beginner will inevitably be off – even for words where the pronunciation is relatively straightforward. 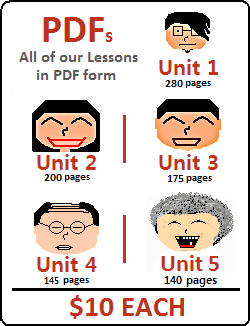 I have gone through the list of vocabulary presented in every lesson in Unit 1 and Unit 2. There are a total of 1850 words in these two Units. From all of these words, I found twenty-two words that exhibit this phenomenon (the fact that only 22 of 1850 words have this might be an indication of how much attention you should give to it at this stage. Again, be aware of it, but don’t worry about it too much as an absolute beginner). If a syllable ends in ㅅ, it’s possible that it might be a “Middle ㅅ.” This is a very difficult concept, and is discussed in detail in Lesson 131. The pronunciation of syllables that contain a fourth letter is a little bit different than above. If you are a beginner, you definitely do not need to memorize these rules/sounds/concepts from the very beginning. Being comfortable with Korean pronunciation takes years, and is not something that you can wrap your head around in a day. The best thing you can do as a beginner is to simply familiarize yourself with what is presented below (and above, for that matter). As you progress through our lessons, you will eventually come across these words in our Vocabulary Lists and in example sentences in our Lessons. 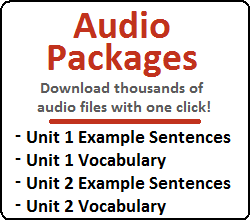 Lucky for you, our vocabulary words and example sentences have audio files attached to them so you can listen to them as they are presented (if they don’t have an audio link, they will eventually). Familiarizing yourself with what is presented below will help you when you are introduced to these words later in our lessons. I’ll repeat my point one more time: While it is important to know how to pronounce things in Korean – this will not happen overnight. Use the concepts presented here to set yourself off on the right foot, but don’t get too bogged down on memorizing everything right now. It will come – with time. If a syllable contains a fourth letter and is pronounced by itself, usually only one of the two final consonants is audible. This is hard for me to explain because you probably haven’t learned very much (if any) Korean grammar by this point. If I explain something that goes over your head in terms of grammar – don’t worry about that too much and try to just focus on the pronunciation notes I mention. The two words above are nouns. For all intents and purposes, it would be rare to find a noun just sitting by itself in a sentence. Rather, in Korean, one of many particles (or other things) would be attached to it. You haven’t learned about these particles yet, but you will be introduced to them throughout our lessons. You will learn about the meanings of all of these in later lessons, but don’t worry about that now. Let’s just focus on pronunciation. That is a native Korean speaker pronouncing those words, and there probably is a reason why she pronounced it that way. This is way beyond the scope of this lesson. Again, just try to understand what is being presented here in theory. You will have thousands of audio files to help you as you progress to later lessons. 닭 is a noun, but various things are also attached to verbs/adjectives as well that change pronunciation. Listen to the pronunciation of each of those words. You will notice that (just like the word “닭” above), because each of the four-letter syllables is followed by a consonant (다), only one of the two final consonants is pronounced. As you can see here, the letter that is not pronounced is not the same in every word. You can see the same phenomenon with all words that have this 4th letter. Let’s listen to “읽다” when “다” is replaced by something starting with a consonant compared to a vowel. … is a matter of Korean grammar, which will be explained in our lessons. As I mentioned earlier, our later lessons will have many example sentences with audio recordings so you can continue to train your ear as you progress through your studies. You absolutely do not need to memorize these concepts before you move on. You will memorize them naturally as you progress with our Lessons. Aside from 의, you will rarely (or never) come across the other syllables in that recording. Pay more attention to the sound that is being made. Though that can be good practice, syllables are rarely just used by themselves. More often, syllables are connected to make words or some sort of grammatical principle. The pronunciation of “ㅢ” can change depending on where and how it is used. If you are reading this without having read any lessons in Unit 1, this explanation might go over your head. 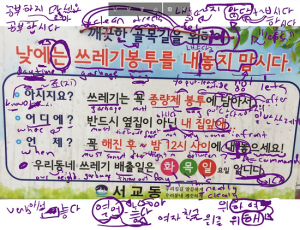 In order to understand some of what is presented below, some understanding of Korean word structure and grammar might help. I’m including this explanation in this lesson (in Unit 0) because this is my lesson about pronunciation. In reality, you probably don’t need to worry about this until you come across it in my lessons. I’ll link back to this part of this lesson when it becomes important in your studies. Officially, the correct pronunciation of “ㅢ” is “ㅢ” (as recorded above). Makes sense. The following are alternate pronunciations that are seen as “acceptable” and are common in speech. Again, “의의” is a word. The third “의” is attached to the word to have the function of “’s” in English. Don’t worry about the grammar for now. 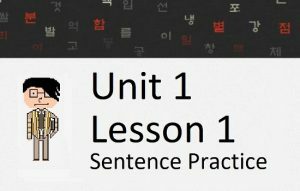 “의” is attached to the word to have the function described in Lesson 3. In this case, “의” can be pronounced as “에”. Okay, I got it. Take me back to the Unit 0 homepage!